Is there a MLM blueprint for success? I certainly think so. If you study the top earners in our industry you will quickly notice trends and similarities. Although many of the top earners have different backgrounds and personalities, they all focus on similar activities to grow their business. In the paragraphs below, I would like to share what I consider to be the MLM blueprint for success. Let’s get started. 1. Make a Decision to Succeed: Without a doubt, the first step in the process is to make a decision that you will succeed, not matter what. Don’t say “I’ll try it and see what happens.” Instead, make a conscious decision to succeed and burn your bridges so there is no turning back. If you are wishy-washy about your business, you will never make it. Success starts with desire and a decision. 2. Commit to MINIMUM Five Years of Consistent Effort: At a minimum, make a commitment to build your business consistently for five years, without ever questioning your initial decision to do so. That means that you don’t second guess yourself because you aren’t making money at the end of your first month. If you aren’t willing to invest five years of your time then you shouldn’t get started with your own business in the first place. Please realize that all businesses take time to build. And you must be willing to invest your time. I’d bet that 98% of the people in our industry never even commit to one year of consistent effort, let a lone five years. 3. Talk to 2 Prospects EVERY day: This business is a numbers game. You need to meet two new prospects every day. You can do this online or offline, through advertising, talking to people, prospecting, or a variety of other methods. If you meet two new prospects each day, you will always have someone to share your business opportunity and products with. Talk to two people a day and that is 730 people a year. Do you think you could find some customers and distributors if you talked to 730 people? ABSOLUTELY. Once again, I’m not saying you have to go to the mall and prospect people. You just have to find a way to talk to two people a day, minimum. I recommend paid advertising to do this. 4. Be Your Own Best Customer: If your MLM Company manufactures a product, you should use it. Don’t be a cheapskate and use competitor’s products because they are cheaper. If you owned a Mercedes car dealership, you wouldn’t drive a Ford because it is cheaper. You would drive a Mercedes. Apply this same concept to your MLM business. Always be your own best customer. This gives you knowledge about the products. You will know their features and benefits and more importantly you will have a story to share with your prospects about what the products did for you. 5. 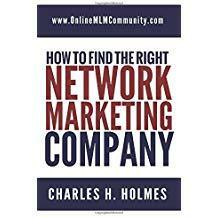 Focus on Building Depth: The real money in network marketing is in building depth. In the beginning of your business, you will need to focus on personally sponsoring people. However, once you sponsor your first 10-20 people, you want to spend 90% or more of your time working in depth. You don’t need to be a recruiting superstar. If you sponsor hundreds of people, most of them will drop out because you don’t have the time to teach, train and motivate them. Sponsor a few, help them sponsor a few, help them sponsor a few, and so forth. Always work at the BOTTOM most point of your organization where the newest distributor is. That’s where the excitement and energy is at. Light a fire in the basement and everyone gets excited. 6. Lead by Example: Always lead by example. Do what you say. Say what you do. Attend all company events. Focus on personal growth. Provide help, mentorship and insight to your team. Read books. Act like a leader at all times! Remember, people do what you do, not what you say. You would want to sponsor someone just like you? If not, become the person you should be. Step one to success starts with you. 7. Spend 90% of Your Time on These 3 Activities: You must learn time management. The most important activities in this business are prospecting, showing the plan, and training your new distributors. Make sure you spend a large majority of your time on these three activities. Don’t spend all your time doing things that don’t generate revenue for your business. Examples include organizing your office, sorting through papers, keeping the books, etc. Of course, you need to do these things. Just don’t do them during your productive time. It’s easy to be busy. It’s much harder to be productive. Use your time wisely or it will use and abuse you. In summary, this is my MLM blueprint for success. I truly believe that if you follow these seven steps, you will be leaps and bounds above your competition in this industry. Succeeding in MLM is possible. But, it won’t happen overnight. If you want to succeed, you have to look at what 98% of all distributors are doing and do the complete opposite. If you follow this MLM blueprint for success, you will be well on your way. What are your thoughts? What is your MLM blueprint for success? Leave a comment and let us know. I believe every worthy endeavor in life needs a blueprint to succeed. How to run and maintain a successful MLM business is no exception. Even though all 7 tips are useful in making this dream of having this business become a reality, my favorite tip is to lead by example. This tip not only applies to this business, but also in life. I agree that everyone needs a road-map in life. You need to know what you want and how you will get there. You should do this for your marriage, with your kids, your career, your business and anything else that is important to you.